With food prices rising every week (or so it feels! ), I've recently looked to find ways to make meals a little bit more cheaply and I've found that with Quorn I can do this. Especially if I'm making a meal that would typically contain chicken. I'm also conscious that I need to serve healthy meals to my young family and again Quorn fits the bill for this. We're not vegetarian but we are conscious of not eating meat too many times a week and with vegetables still the enemy with Isla I've found that rather than make meals that are wholly made with vegetables I've gone down the route of making a meal with Quorn as it works so well for things like bolognese or cottage pie. Here's the Pasta Bolognese I recently made using Quorn, it really is hard to tell the difference. For us busy mums it's also important that we don't have to learn new ways of cooking things and the beauty of Quorn is that it cooks in exactly the same way as you would cook it's meaty partner. And frozen Quorn products can be cooked straight from the freezer, meaning less forethought required to make your evening meal! It's also worth saying that Quorn don't only make 'mince' type products or 'chicken style' pieces. We also recently tried crispy coated Gruyere Cheese Escalopes which were delicious with a bit of salad and a baked potato. Unbelievably Quorn make over 100 different products. Quorn is good for many reasons, and for the non-vegetarian it is a way of making meals healthier as fat content is dramatically less than meat. It's a great source of cholesterol-free protein. I did always wonder what Quorn was and a quick look on the Quorn site tells me that the main constituent of Quorn, Mycoprotein, is a naturally occurring, high quality, healthy form of protein. Quorn is produced using a fermentation process very similar to brewing; only they harvest the solid as opposed to the liquid. 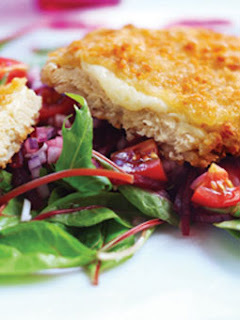 Why not check out the Quorn website and have a go at making the recipes there using Quorn? Quorn is a great meat substitute and I challenge you to find a meal that can't be 'Quornified'! You could also 'Like' the Quorn Facebook Page and upload photos of your Quorn dishes. Go on, give it a try, you can't knock it till you've tried it! 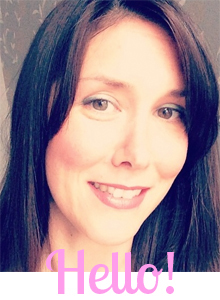 This is a sponsored post, but I have written honestly about my Quorn experience! I've seen the ads but never thought of trying. The dishes look tasty and the quorn looks a lot like beef.